The benefits of gastric sleeve surgery are almost immediate – significant weight loss. This creates a great sense of achievement but also brings with it an entirely new problem – excess skin which can lead to pain, discomfort, and rashes. 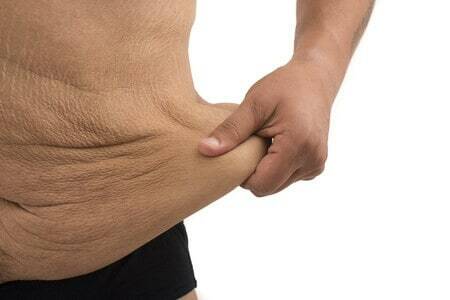 Excess loose skin is a problem to be expected after gastric sleeve surgery due to the dramatic weight loss. With the help of these tips, you can be able to manage the issue of excess skin. Excess skin after gastric sleeve surgery is a normal occurrence and is an indication that you are losing weight in all the right places. As unsightly as it may be, remember that you need to give your body time to heal and stabilize. Gastric sleeve procedure is not merely a simple way to lose weight. The hard work begins after the surgery where you need to follow and maintain a healthy lifestyle. With proper care and maintenance over time, your skin will tighten on its own. Surgery such as tummy tuck or other corrective procedures can be considered if the sagging does not improve over time. Massages are a great way to tighten skin because they increase blood circulation which is beneficial to your skin. Book regular massages, either weekly or bi-weekly with your favorite masseuse though you can still have your partner do it for you or do it yourself. Invest in your favorite essential oils and turn your massage session into a calming and invigorating reward for your hard work. Alternatively, you can also try a body wrap. A body wrap typically works by dehydrating the skin and flushing out toxins from the body. The effects are not permanent but are great when you’re feeling bloated or just need to shrink a few inches to fit into that outfit. The most common body wrap is the seaweed wrap which is available at your local spa. Sea salt scrubs have been observed to improve blood flow circulation and tighten the skin over time. Increased blood flow helps to encourage healthy tight surface, and the best way to achieve this is to shower twice a day with a good sea salt scrub for a couple of weeks. Too much sun exposure affects your skin’s elasticity, so this is not the time to get a tan. Sun rays typically dry out your skin and damage skin cells. Your skin is particularly sensitive now so limit your sun exposure significantly. Also, limit your time in swimming pools as the chlorine also dries out your skin and can damage skin cells. Ensure that you always take a shower afterward and moisturize with a natural collagen cream that contains vitamins and aloe vera. Biceps curl – One of the most significant peeves for weight loss patients is the underarm hang that comes as a result. Targeted bicep curls are necessary to help the loose skin by toning the muscle around the bicep area. Planks – Planks are an efficient way to strengthen and tone your abdominal muscle. This is achieved with your hands under your shoulders and holding out your arms straight with your toes holding your legs up. The longer you can maintain this position, the more beneficial it is. Squats – Squats help to tighten loose skin on your lower body by providing an excellent workout for the thighs and gluteus. Squats can be as simple as lowering yourself into a sitting position with your back straight, and your feet spread shoulder length apart. Related: Discover more common side effects of gastric sleeve surgery.